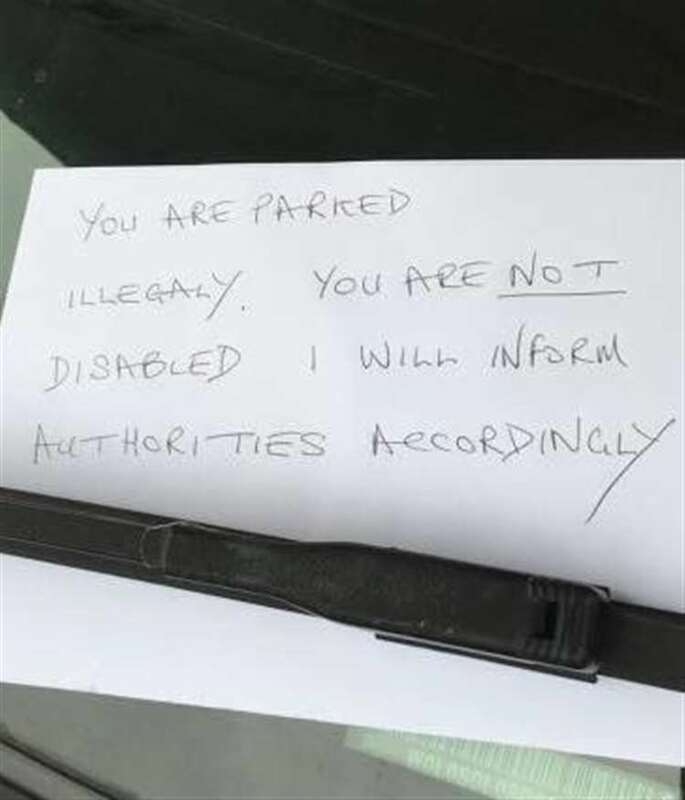 A car is parked in a disabled parking space and a hand written message placed on the window of the car. Even though there is a disabled sticker. It says: "You are parked Illegally. You are Not Disabled. I will inform the authorities." Was the person right or wrong to write this message on the car? If he has something of factual nature to report, fine. He should go ahead and report and forget the message as it adds nothing. If he is the man's physician and he knows the man is not disabled, he is violating his ethical obligation to not disclose, and in many jurisdictions, the law. Likewise, he is breaking the ethical and legal codes if he leaves the message. If he doesn't have anything of a factual nature, it would be liable as he is wrongfully accusing someone of breaking the law. Better not leave the message in this case, either. Original Quill wrote: If he has something of factual nature to report, fine. He should go ahead and report and forget the message as it adds nothing. Interesting reply, though not the point I am making mate. Though very good, still none the less. If the party leaves a note, it's the same as any other legal matter: who did it? Criminal or civil, one must always find the right culprit. What kind of disabled sticker? Raggamuffin wrote: What kind of disabled sticker? Not all disabilities are visual. They had no right to accuse the person if he had a disabled blue pass displayed in his windscreen. magica wrote: Not all disabilities are visual. My friend has Pulmonary Hypertension, basically a death sentence and she is only 19 years old. Drugs did not work and now has continious IV infusions. She had this left on her car today and where education clearly is the key for people to understand looking abled bodied, does not always mean they are. A disabled badge is there to help the person park closer to the shop or places they're visiting, because their walking maybe hard for them. The person who wrote the letter is a disgusting person. People think disability means being in a wheelchair well no it doesn't. Many people show no signs of their disability on the outside like your friend,but that doesn't mean she isn't disabled. I feel for her, she's going through a really bad time and could do without idiots assuming she's lying. They don't dish out blue badges to just anyone. I wish your friend everything she would wish for herself. magica wrote: A disabled badge is there to help the person park closer to the shop or places they're visiting, because their walking maybe hard for them. Good Didge, she will need to stay strong for herself. Bless her. magica wrote: Good Didge, she will need to stay strong for herself. Bless her. Exactly Didge, but they're to be pitied as they clearly have no clue about their thinking and the damage a note could do. Many disabilities are not on the outside. No one should be made to feel bad by parking in a disabled bay with their blue badge. I hope the person who wrote the note feels shame for their actions. magica wrote: Exactly Didge, but they're to be pitied as they clearly have no clue about their thinking and the damage a note could do. I agree, but do you know what the problem is? Ashford teenager Yasmin Swift finds note on car telling her she is not disabled. 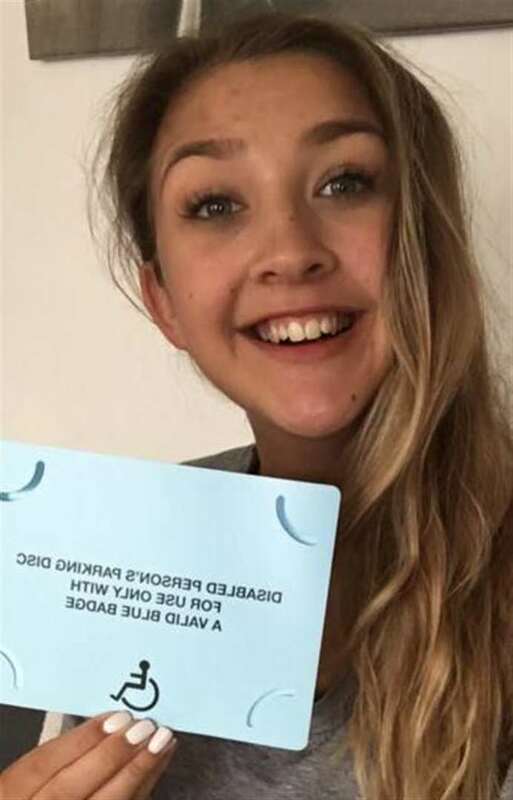 A teenager with a life-threatening lung condition was shocked to discover an aggressive note plastered to her car windscreen. Yasmin Swift struggles to walk the length of a room and has a cocktail of drugs fed into her chest intravenously, but a disgruntled passer-by decided she was not entitled to her blue badge when she parked in Tenterden. The 19-year-old found a note saying: "You are parked illegally. You are not disabled. I will inform authorities accordingly." Yasmin has been off work for six months since doctors at St Thomas' Hospital in London told her that the explanation for her breathlessness, headaches and swelling on her legs was Idiopathic pulmonary arterial hypertension (IPAH). 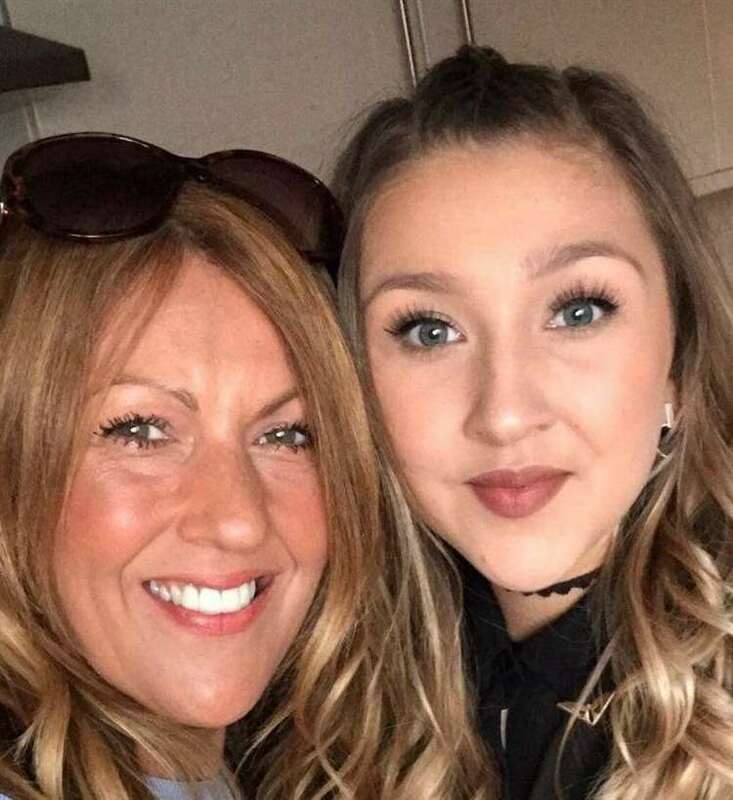 Her rare condition can lead to fatal damage of the right side of her heart if left untreated and medics have told the hairdressing student that she may need a heart and lung transplant. The ex-Homewood School pupil who lives in Willesborough, Ashford, was just starting to gain her independence after months of hospital visits and surgery and decided to visit friends in her former home town of Tenterden on Thursday. She parked in a disabled space in Tenterden High Street, opposite Prezzo, only to return to her car and find the note written in capital letters underneath her windscreen wipers. Yasmin, who wrote about her experience on Facebook and was inundated with messages of support, said: "I was shocked to find the note. People are ignorant and it's a cowardly thing to do. "If the person who wrote the note had asked me about my disabled pass I would have told them, but it might have been a waste of breath. "Maybe if they could have seen what I've been going through over the last few months they would think differently. People don't know you but they make judgements." Yasmin has had to put her training at Ashford's Hair Academy on hold as she struggles to manage daily tasks with her debilitating condition. 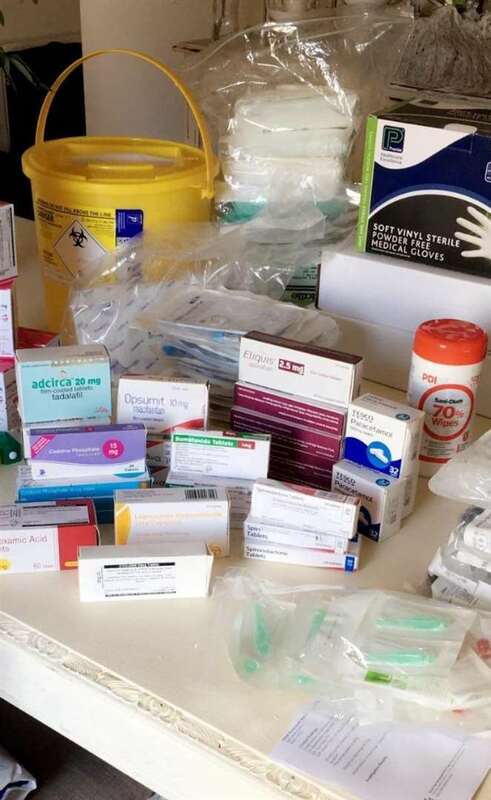 Doctors hope the symptoms could be managed for up to eight years with tablets alone, but Yasmin needed more drastic intervention. 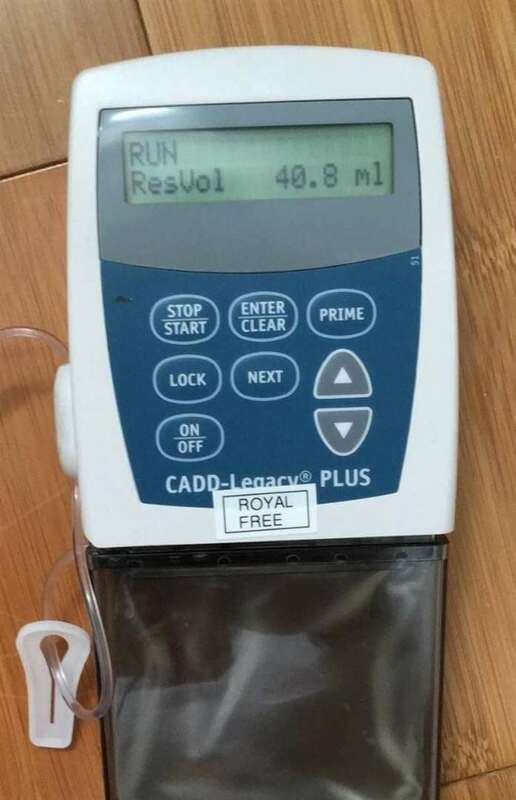 She now has the intravenous drip permanently attached to her chest, connected to a pump, which moves the drugs around her body but it is not a cure for her condition. Yasmin's mum Mandy said: "Our lives have been devastated since Yasmin's diagnosis and quite frankly it's been hell. The incident with the note could set her back and it's just complete ignorance to write it. "She's a beautiful girl inside and out and so positive and determined despite her illness." Yasmin said: "I know I don't look disabled but I just want people to think twice before they write something like that." Photographed the nasty note, posted it up on Facebook, and turned it into a major news story.. I would have simply screwed up the note and binned it. Maybe she felt she needed people to know what a low life the person who wrote the note is. Oh I didn't give the red btw. Would have but someone beat me to it. I’d like to stick that note up the author’s arse so he can feel anally disabled. Hence she did the right thing to go forward to make more people aware and not have people continually judge others, based on their poor perceived views. Hence why, I am glad this has become public, to help educate people and who ever gave you greens, which was two people, are clearly idiots. As they again poorly do not understand how people do need to be educated on these problems. magica wrote: Maybe she felt she needed people to know what a low life the person who wrote the note is. eddie wrote: I’d like to stick that note up the author’s arse so he can feel anally disabled. And, I hope she stays as well as she can. the problem is there are lots of younger non-disabled people 'borrowing' mum's disable parking sticker to get free/better parking. the person that posted the note probably thought they were doing the right thing and pointing out a faker. I have a friend that drives even though they have a wheelchair and they think the biggest issue is that people like the girl in the OP just need to be close they don't need the extra space to deploy ramps etc that a wheelchair bound person does. it's increasingly a problem down here as with the aging population and retirees (like my dad) that have a bad knee or lungs or whatever taking up all the spaces. there needs to be 2 sorts one that are bigger to allow for ramps etc and another that is normal size and for people that just cant walk far. veya wrote: the problem is there are lots of younger non-disabled people 'borrowing' mum's disable parking sticker to get free/better parking. Yes, that is a problem. But there is no evidence, only assumption that this is the case here.